Many, this correspondent included, expected the JVP to poll well and win 10 to 15 parliamentary seats – some people said 20+ even when they were sober! On votes, yes expectations have been borne out (544,000, its second highest since 815,000 in 2001). On seats we were wrong because of inattention to nitty-gritty details; intra JVP-UNP swings, peculiarities of the district-wise PR system, and UPFA abstentions. I will make amends for this lapse and present a more informed picture of the JVP’s setback. A fuller analysis would need to be three times as long. I use rounded numbers and percentages throughout this essay because there are many numbers to present and resorting to the umpteenth decimal will confuse without adding value. Hence 9.29% becomes 9%, 11.78% becomes 12% and I will write 549,148 as 550,000. Beware then that things may seem not to add up to 100%. Or a 10% swing from A to C and a 5% swing from B to C may appear as 14% increase in C. But rest assured you are losing nothing of importance and gaining in clarity and simplicity. Let me first dispose of a macro item; the JVP polled 544,000 while UNF, UPFA, JVP and TNA (the parties entitled to seats) together polled 10,969,000. Had there been a nationwide, not a district-wise PR system the JVP’s 5% would have earned it 10 seats. I am not making any such proposal – 20A will put an entirely new mixed FPTP+PR system in place – my point is that the JVP’s performance in total votes was not much below expectations; seats disappointed. In 2001 it polled 9% nationally and got 16 seats under a district-PR system. (FPTP means first-past-the-post and PR is proportional-representation). This macro picture tells us little other than what has been sketched in the above paragraph. It is detailed district-level and polling-division (bigger than a FPTP seat) analysis that conveys valuable information. Polling-division level analysis is too detailed and the nuggets it carries help micro strategy – useful for candidates but not of interest for the general reader. District-level data is politically informative for everybody. It would be cumbersome to record all districts and I confine myself to a sample laid out in simple tables. The Northern and Eastern Provinces and the Nuwara Eliya and Puttalam polling-divisions are of no interest to this study. For obvious reasons the JVP stands summarily rejected by Tamils, Ceylon and Upcountry, and it has no clue how to get itself out of this bind, but that’s a topic for another day. This study pertains to overwhelming Sinhalese provinces and districts though their Tamil and Muslim populace conditioned the outcome in several places. An important caveat is that nothing can be learnt from the JVP’s electoral performance in two parliamentary elections in 1994 and 2004 where it was the ally of the larger SLFP. JVP candidates did well as SLFP voters, impressed by its probity, ticked preferences in its favour. It rode piggy-back to win 39 seats in 2004 while also beating a pro-war tom-tom to a racist tune. The alliance with Fonseka in 2010 was a disaster; the feeble Democratic National Alliance secured 7 seats, four of them JVPers. No useful comments about future trends can be made from the 2010 elections. The era prior to 1990 (Wijeweera times) is a different national era and JVP vintage and has little relevance to this analysis. I am satisfied that the best perspective comes from comparing 17 August with the 8 January. Sirisena threw in his lot with the UNP-GG, so the two elections are politically aligned. Comparison requires some mental jugglery as one poll was parliamentary, the other presidential, but with a little number massaging it can be done. Ok lets dig into a case study, Kalutara District. January 8 poll: valid votes = 85% of which MS got 46% and MR 53%. 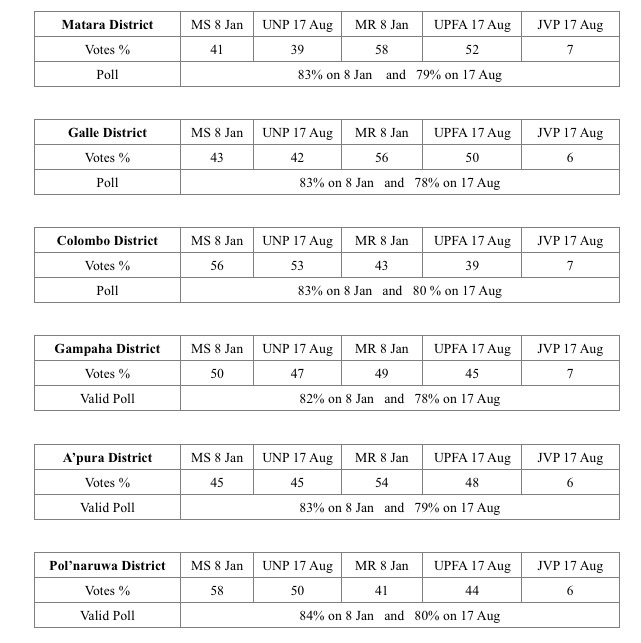 On 17 August: valid votes = 80% of which UNP got 44% , UPFA 49% and JVP 6%. Since the voter lists were the same it is exact to say that 5% (55,000) more people did not vote. It would be convenient, but incorrect, to speculate that 2% of MS/UNP and 4% of MR/UPFA voters crossed to the JVP to give it 6%. But no, not so simple, this is not what happened. The 4% decline in MR/UPFA poll is made up of two parts, one part abstentions disoriented by corruption charges, which the JVP did more than anyone else to highlight and those confused by the disorder in the SLFP. The other part were people who switched their votes from MR/UPFA to UNF or JVP. It would take too long to explain, but of the drop in MR/UPFA votes between the elections, about half abstained and the other half crossed-over in about equal numbers to the UNP or the JVP. In addition the visible decline in UNP votes (compared to January 8 for MS) includes the JVP core separating itself out and returning home. I have analysed 15 districts in the south (omitting Nuwara Eliya and Puttalam) and the pattern is nearly identical ; actually it is eerie how similar the swing, not the absolute numbers, are whether the district is Galle, Matara, Colombo, Gampaha, Anuradhapura or Pollonaruwa. Information overkill serves no purpose so I provide simple data for these six districts only. Everywhere the story is the same; (i) the percentage poll declined by 4% to 5%; (ii) the swing out of MS/UNP and MR/UPFA seems to match the votes polled by the JVP; but don’t be fooled by this seeming equality. A more complex multi-way abstentions and swing process was in the works as I explained for Kalutara. The UNF-GG must thank the JVP for enhancing UPFA abstentions and causing a 1.1 million decline in its absolute vote compared to MR’s on 8 January; and for example in Ratnapura and Kegalle Districts it declined by 56,000 and 51,000, respectively; the UNP vote in these districts hardly budged compared to MS’s January poll. I am a one-man show with zilch resources, not an NGO with a multitude of bodies rushing over land and ocean without rest filling forms and switching on tape-recorders. But a few of the fast declining grey cells still seem to be ticking and careful listening and probing of anecdotes can point to reliable conclusions quicker than the multitudinous NGO throng can fathom. I have in mind three questions that have been asked in the aftermath of the JVP’s disappointing electoral performance. Has the JVP switched from its plebeian ideology and origins to a more middle-class support and intellectual domain and become alienated from its historical roots? Did many people who liked how the JVP was getting about its business and intended to vote for it, pullout at the last moment and vote UNF so as not to “Waste a vote”? 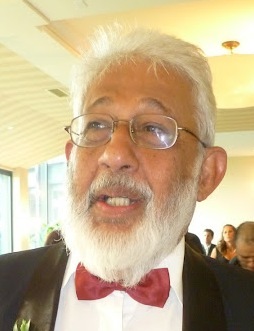 A reverse-MR syndrome: “Defeating MR is so important; vote even for the bloody UNP and get it done”. Has the JVP reached its limits of growth on its current trajectory of stand-alone growth? Space permits only brief answers to these questions. I relied on data as well as conversations conducted last week, but to keep it brief only conclusions are reported below. For convenience, let me first offer one word answers to the three questions: (i) Mainly but not entirely No, (ii) Yes, (iii) Yes. The reason I reckon the JVP did not lose its plebeian base is because it held on to 10% to 12% in locations like Tissamaharama, Tangalle and Beliata, and 8% in places like Mineriya. However in the more remote locations of the NCP, Uva and Sabaragamuva it polled below 5%. Interestingly its vote was higher in urbanised locations such as Anuradhapura East (10%), Gampaha (9%), Matara town (9%), Galle town (8%); it did better in the principal provincial towns than in the remoter hinterland. Anyway middle-class (petty-bourgeois) as opposed to peasant power has been a feature of the JVP base. Another feature is that it drew a high postal vote in all districts; 14% in Matara and Hambantota, 12% in Colombo District, 11% in Gampaha District, 10% in Badulla and more than 7% in many other districts. Postal votes were 4 to 6% higher than ordinary poll percentage in all districts. This is proof of a loyal trade union base. The Yes reply to (ii) is anecdotally justified by the intensity of ‘Please don’t waste an anti-MR vote on the JVP’ pressure. My appeal for a second JVP seat in Colombo and Gampaha and a seat in Matara and Monaragala, which calculations now show would have cost the UNF two not four seats, is manifestly justified in hindsight. Finally, the important question for the future is (iii). The JVP is not young, it is nearly half-a-century old; in anthropomorphic terms it is middle-aged. It is apparent now that as a solo dancer it will not grow beyond a 10-15% catchment. It has to nurture a broad left and democratic alliance to break out of this trap. I have been saying this till I am hoarse; the JVP takes no notice; it never will. 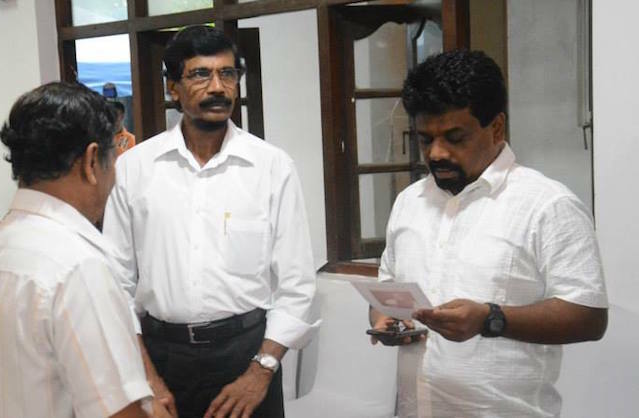 A darkening cloud is a possible formal or informal split in the SLFP with the MR faction forming an alliance with Wimal, Dinesh and the Dead Left, say under some name like UPFA-2. This will be the main opponent of the ‘National Government’ (NG) and can muster the numbers to assume Leadership of the Parliamentary Opposition. Its programmatic rallying cry will be racism. It is speculative to look far ahead but if you forgive speculation, it is possible that the NG-combo (including the pro-NG SLFP) and UPFA-2 will be the principal contenders in the 2020 elections. In this, albeit somewhat speculative, emerging scenario, the JVP’s reluctance to incubate a left and democratic alliance and its penchant, instead, for playing with itself, is suicidal and politically criminal. In The Long Run, You’ll All Be Dead: The Perspective Of A Corrupt Government! 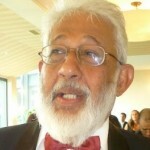 « Can The UNP/SLFP Partnership Survive In The Long-Run?